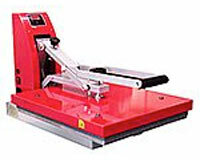 Why should I choose the Red-Line brand as my Heat Press solution? 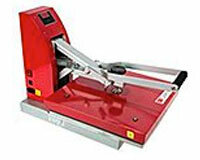 Red-Line presses are a good choice for those who need a reliable press for less. Red-Line presses are engineered by a leading USA manufacturer and assembled off shore, Red-Line presses are an affordable and durable press that offers a digital time and temperature readout and a cast in tubular heating element to insure your press produces even heat with every application. A good choice for those who do not have high production needs.